No, in many circumstances, you don't need to give the at-fault party's insurance company what they ask for because the law affords you certain protections in terms of privacy; however, it might be to your advantage to do so in some settings in order to establish a working relationship with that carrier. The insurance company will likely ask for as much information and records as possible. However, giving them some or all of this might later disadvantage your case later at trial. Therefore, it is necessary to distinguish between what the policy or claim asks you to give them and what the law requires you to give them. Of course, it is important to build rapport with all parties in the dispute but you should not do this at the expense of your recovery. You should work with a qualified attorney so that you only disclose what you have to while preserving every ounce of compensation. 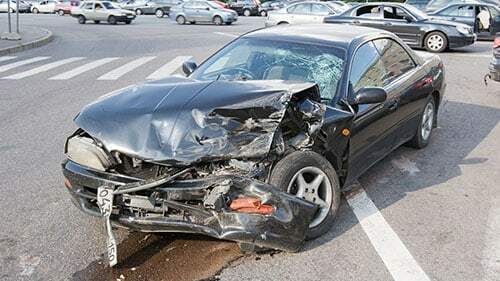 In many ways, the insurance claims process looks a lot like a regular lawsuit even if it involves against an uninsured or underinsured driver. Some of the common features include investigation, legal research, records gathering and review, depositions, and other things. However, it is critical to remember that there is still another avenue to recourse if you are not satisfied with the insurance process. You can either go to arbitration or file a lawsuit depending upon the state and circumstances. To figure out which is available to you, call our offices. We can help you analyze all routes to recovery to ensure that you get the most compensation possible under the law. Need Help Bringing A Claim? Contact Our Offices? Rosenfeld Injury Lawyers LLC can make sure you put your best foot forward following a motor vehicle accident and only disclose what you need to in order to be successful. We have brought a lot of cases on behalf of injured victims and know the most effective way to present your claims. To get yours started, contact our firm and someone from the Rosenfeld Injury Lawyers LLC will get the ball rolling today.